Condemned to play is a 360 fiction film that takes us into Pieter Bruegel the Elder’s painting “Children’s Games”, an experience in which the protagonists are the children Brueghel painted. Anna, Gerta, Victor or Jean are the characters of this fable filmed in the universe of the painting. While the 200 children painted by the artist are sentenced to play the same game for 450 years, one evening, a mysterious force suddenly attacks them. Condamnés à jouer propose un film de fiction à 360° dans le tableau “Jeux d’enfants” de Pieter Bruegel l’Ancien où les personnages du tableau prennent vie, prisonniers d’un tableau-maquette avec lequel joue un enfant. Anna, Gerta, Victor ou Jean sont les personnages de cette fable filmée dans l’univers du tableau. Alors que les 200 enfants peints par l’artiste sont condamnés à jouer au même jeu pendant 450 ans, un soir, une force mystérieuse les attaque. Since 1998, he has been directing documentaries for television, mainly Arte and France Televisions. He has directed, to name a few: Smoking Kills (2004), Parmiggiano (2006), The Last Rodeo (2008), El Gaucho (2009), Green Thumbs (2010) and the ABC of Man (2015). 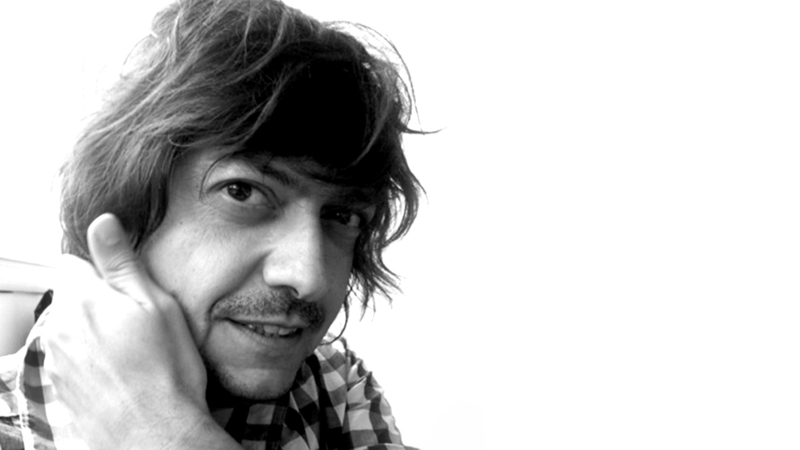 In 2010, he directed his ﬁrst interactive project for Arte.tv: Arte Sporting Club. Followed by Modern Couple, also for Arte.tv (2012) which was adapted for television, Modern Papa (2013), My own Proust’s Madeleine for Radio France Nouveaux Medias (2013), Check-In for Arte.tv (2014), Generation 14 for France 3 and the Figaro.fr (2014) as well as Continuidad for France Culture-Radio France Nouveaux Medias (2015). Following graphic design studies at Ecole Estienne in Paris, Gordon specialises in graphic presentation for television. 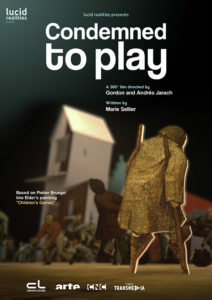 Along with Andy Sommer or Philippe Béziat, Gordon writes and directs cultural tv programs: The Carnival of the animals (2010 – Grand Prix Italia 2011 and Public award at the Golden Prague 2011), Antoine’s four seasons (2012), Peter and the Wold (2013 – Grand Prix Digital Award Bologne 2014, Rose d’Or in Berlin 2014). He has been working with Chloé Jarry for all of these interactive applications. Replay Memories is his ﬁrst collaboration with Andrès Jarach.